We are made up of all of the people we meet during our lifetime. We transform and recognize ourselves through others; in some fascinating way we learn from them, take part of their story and create a network of connections that hold us together as the human race. To be disconnect from other’s humanity and stories isolates us from the world. Recently, I met 54 people from around the world who fight every day for what they believe in, for what changes they consider will lead to the betterment of their community. These people come from very diverse cultures, but their universal symbol is change. They are dreamers, owners of unique genius, and they are full of ideas to make their world a better place to live in. 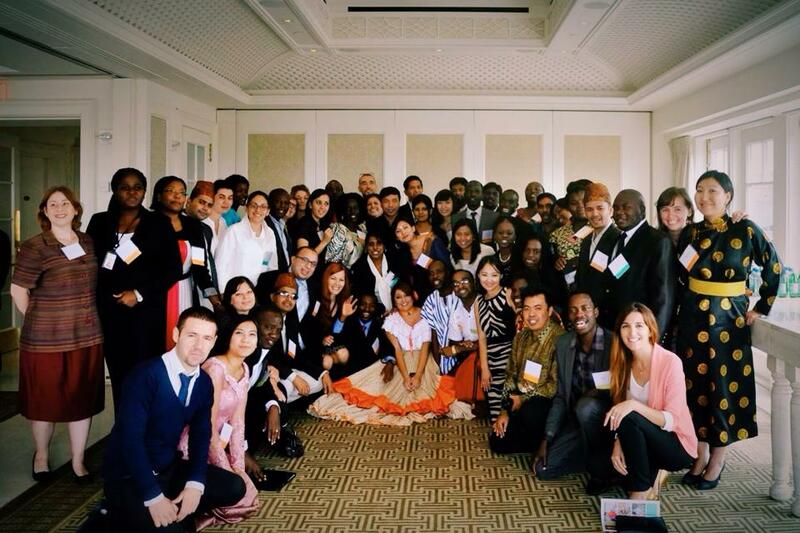 We all are now living around the United States, as Fellows for the Community Solutions Program of the U.S. Department of State. We are all working in different organizations. I was sent to San Antonio with two other leaders—Rose Wamalwa from Kenya and Ivan Jovanov from Macedonia. I am working at the Alamo Area Council of Governments (AACOG), Rose works with the Greater Edwards Aquifer Alliance, and Ivan is with the Spurs Silver & Black Give Back Foundation. We all have different causes. Rose works in women empowerment regarding access to water. Ivan works with the young and sports. I am working in empowerment of citizen participation through Information, Communication & Technology tools to enhance transparency and accountability. Think about these goals and causes; and imagine 55 people working on their dream project. Now, think how many people in the world have one idea for change, and they figure out how to get in touch with one other person to develop a project worth working on together. We, the 55, are just lucky enough to be here working full-time on our dream project for our country. But imagine what we could do if 55 people could touch 55 other people, who could in turn find 55 other people, and so on. We would have an army for change. We will have the most important thing: people and hope. You know what they say, you do not need for everyone to sign up for your cause—you only need a small group of people who are passionate about an idea, so they can spread it and they would get people to connect with other people through ideas. Some of us are lucky enough to meet people so fascinating that we have to change the way we dream about the world. These people, the people who can change the world, transform fights into passions and ideas into realities. Community Solutions Program: These people come from very diverse cultures, but their universal symbol is change. They are dreamers, owners of unique genius, and they are full of ideas to make their world a better place to live in. That’s true Marsela 🙂 thank you for your post. I like what you have wrote especially : ” Some of us are lucky enough to meet people so fascinating that we have to change the way we dream about the world. These people, the people who can change the world, transform fights into passions and ideas into realities.” Can u share in LinkedIn too?